"...‘Pop Goes the Weasel’ will keep Arlidge at the top as one the best new writers around... "
The body of a middle-aged man is discovered in Southampton's red light district - horrifically mutilated, with his heart removed. Hours later - and barely cold - the heart arrives with his wife and children by courier. A pattern emerges when another male victim is found dead and eviscerated, his heart delivered soon afterwards. The media call it Jack the Ripper in reverse; revenge against the men who lead sordid double lives visiting prostitutes. For Grace, only one thing is certain: there's a vicious serial killer at large who must be halted at all costs. Following on from 'Eeny Meeny', Arlidge returns with the second book in the series. Grace is still suffering from the trauma of the case in 'Eeny Meeny', and many references are made to this. Whilst it is possible to read 'Pop Goes the Weasel' on its own, to get a better understanding of the characters and their behaviour, it would be beneficial to read these books in sequence. I feel this would give the existing characters more depth and keep them interesting as they grow and develop. As with life, different people respond in different ways to cope with trauma. Grace may not be the easiest of characters to warm to, but Arlidge has made her very interesting and it is easy to be empathetic, if not fond of her. Arlidge portrays his characters warts and all. Each one has strengths and weaknesses, giving them a more realistic feel. Their imperfections only make them more life-like and easier to identify with. 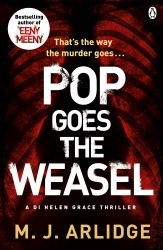 The plot of 'Pop Goes the Weasel' is as gruesome as his debut, and although I thoroughly enjoyed this book and couldn't put it down, I felt the plot of the first novel had the edge as it was more innovative. Having said that, 'Pop Goes the Weasel' will keep Arlidge at the top as one the best new writers around and will certainly keep me looking forward to the next book. "Hannah has channelled the great Dame Agatha and encapsulated the character in every single detail." Hercule Poirot's quiet supper in a London coffee house is interrupted when a young woman confides to him that she is about to be murdered. She is terrified, but begs Poirot not to find and punish her killer. Once she is dead, she insists, justice will have been done. Later that night, Poirot learns that three guests at a fashionable London hotel have been murdered, and a cufflink has been placed in each one's mouth. Could there be a connection with the frightened woman? While Poirot struggles to put together the bizarre pieces of the puzzle, the murderer prepares another hotel room for a fourth victim. I am a great admirer of Agatha Christie's work, and find Hercule Poirot to be a wonderful creation. You can't be a fan of crime fiction and not have the stories of the Belgium detective in your collection. They're a classic of the genre. Sophie Hannah has taken on a mammoth task. How can a writer of the twenty-first century bring to life an icon of the 1920s? It has worked with James Bond and Sherlock Holmes, but can Hercule Poirot rise again? 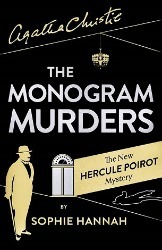 I was looking forward to reading 'The Monogram Murders', yet I also approached it with some trepidation. I admit that I've read this book far slower than others as I've poured over every sentence, ever word, wondering if Poirot really would say/do/think as depicted here. 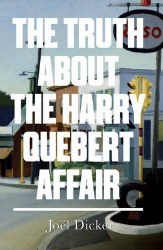 I'm sure I'm not the only Christie fan who has read this book like Poirot reads a crime scene. Sophie Hannah can relax. She has given Poirot life and succeeded in satisfying this hardened critic. I was overjoyed with the novel, the plot, the pace, the elegance of the prose. Hannah has channelled the great Dame Agatha and encapsulated the character in every single detail. I was never a fan of Captain Hastings as I found him a tad wet behind the ears. I was pleased when I heard Hannah was using original supporting characters. However, Inspector Catchpool of Scotland Yard didn't work well for me. How can he be an Inspector of the Yard and ask such benign questions and be utterly clueless in a crime scene? I like to think maybe Catchpool was in awe of the great detective and was merely star struck. One of the famous aspects of the Poirot novels is the denouement when Poirot gathers the cast and reveals all. As I reached the end of the book I was worried Hannah may not have captured the essence of Poirot's infamous routine but I am pleased to say with me, she did not disappoint. The return of the Belgian with the little grey cells has been the literary highlight of my year and 'The Monogram Murders', for me, has lived up to the hype. More please. If you're reading this, you're a new employee at Human Resources, Inc.
Congratulations - and condolences. At the very least, you're embarking on a career that you will never be able to describe as dull. You'll go to interesting places. You'll meet unique and stimulating people from all walks of life. 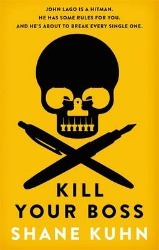 And kill them. You will make a lot of money, but that will mean nothing to you after the first job. Assassination, no matter how easy it looks in the movies, is the most difficult, stressful, and lonely profession on the planet. Even when you're disguised as an intern. John Lago is a hitman. He has some rules for you - and he's about to break every single one. The book is written from the viewpoint of a handbook to other HR Inc employees, giving hints and tips on the best way to infiltrate companies, remain anonymous, and successfully kill your boss. What starts off as a handbook soon turns into just a book, which I was relieved to see as the directions and hints after a while were a little off-putting and distracted me from the story. Despite being a paid assassin, John is generally good at heart. It is his upbringing that has forced him to become what he is and Kuhn does a good job of explaining why he has turned out this way. He has managed to give enough detail to make it believable without giving so much that it was like a psychology lesson. Kuhn managed to keep the plot interesting by interjecting humour and also by keeping the reader guessing as to who was going to be double-crossed as not everyone is who they said they are. There were moments of wry humour with John impressing his law bosses and earning himself undue rewards, but also a touch of emotion, without feeling pity, for the way John's life has turned out. The book is a great read and sure to be a number one hit. 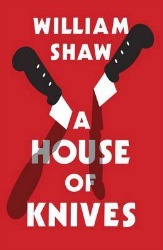 This has a plot which is a little quirky, a lead character that you couldn't help but like, even though he is a killer and you learn a little psychology whilst reading it. I loved it. Brilliant! "For those fans of Elizabethan plot and counterplot this book is irresistible." This is the fourth book about Giordano Bruno, an Italian ex-monk fleeing from the Inquisition because of his heretical views. He has established a niche for himself in the Elizabethan court as an investigator for Sir Francis Walsingham. He has found a home and protection in the house of the French Ambassador because of his work for the French King. All this is about to change as a new Ambassador is coming to England, and one not sympathetic to Bruno. Bruno accompanies his friend Sir Philip Sidney to Plymouth to welcome Dom Antonio, pretender to the Portuguese throne and a would-be ally against the might of Spain. Sidney is desperate to find some adventure and is planning to ask Sir Francis Drake for a passage in his voyage to the Americas. He wants Bruno to go with him. When they meet Drake on board the Elizabeth Bonadventure they find that all is not well as a member of the party has been found dead, apparently by his own hand but with sufficient doubts for Drake to ask Bruno to investigate. As he follows the clues, he discovers intrigue and treachery both in the ship's crew and in the town of Plymouth where Drake's ships are ready to sail. This is another of S J Parris' brilliantly evocative tales of Elizabethan England. The historical detail and background description really take you back to bygone times. She is limited to some extent by the fact that Bruno was a real person with a recorded history, but in this story she imagines a whole story with twists and turns that cleverly interweave with the known historical facts. Her imaginative portrayal of Drake and Sidney put flesh on their bones and gives them a rounded personality that adds to the excitement of the tale. Plymouth's seedy side is uncompromisingly described. Life was certainly not easy for the poor in those days. Bruno is a sympathetic character but his solitary lifestyle, his independence and inability to commit to anyone who is obtainable give hints of what may be to come. The future is uncertain and he has to live for the moment. The intrigue of court life and the ever present threat of Spanish invasion keep him on his toes. This is a substantial piece of work and is so absorbing that the pages simply fly by. 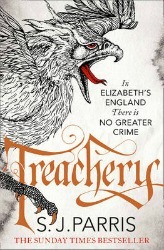 For those fans of Elizabethan plot and counterplot this book is irresistible. "Booth's excellent descriptive narrative gives a true sense of the county and its gorgeous surrounding." The old Corpse Bridge is the route taken for centuries by mourners from villages on the western fringes of Derbyshire to a burial ground across the River Dove, now absorbed into the landscaped parkland of a stately home. When Earl Manby, the landowner, announces plans to deconsecrate the burial ground to turn it into a car park for his holiday cottages, bodies begin to appear once again on the road to the Corpse Bridge. Is there a connection with the Earl's plans? Or worse, is there a terrifying serial killer at work? Back in his job after the traumatic events of previous months, Detective Sergeant Ben Cooper knows that he must unravel the mystery of the Corpse Bridge if he is going to be able to move on with his life. As the pressure builds, Ben doesn't know who he can trust and, when the case reaches breaking point, he has to make a call that could put everyone at risk. 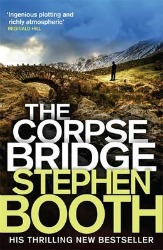 'The Corpse Bridge' is book 14 in the Cooper and Fry series and there are no signs of series fatigue setting in at all. The reason is Stephen Booth's masterful storytelling, his atmospheric sense of location, and his brilliant characterisations. Cooper and Fry are a wonderful double act. I'd actually read a novel just about those two without a crime involved as they are well-rounded individuals with a rich history. I live close to Derbyshire and know it very well. Booth's excellent descriptive narrative gives a true sense of the county and its gorgeous surrounding. He uses the wonderful landscape as a character on its own to great effect. 'The Corpse Bridge' is a deliciously dark story, and multi-layered, with a disparate cast of supporting characters who all fit perfectly into the plot, not one of them out of place. One of my favourite crime writers is the late Reginald Hill who was a natural wordsmith. 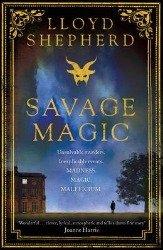 For fans of Hill's clever plotting, Stephen Booth is definitely capable of filling the vast void Hill has left behind. Booth is an exceptional writer and storyteller; his natural plots and characters knit together tightly and with ease. I greatly miss Dalziel and Pascoe but feel Cooper and Fry are the next in line to be one of crime's classic double acts. No pressure, but I look forward to the next fourteen novels! 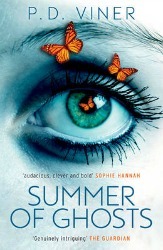 "‘Summer of Ghosts’ is a clever and original book." Detective Superintendent Tom Bevans has just returned to work after a six months leave of absence. Ten years previously, the love of his life, Dani Lancing, died in horrible circumstances and the recent revelations about the circumstances of her death sent Tom into a very dark place. He is now back in charge of Ares, a unit specialising in sexual crimes. He passionately wants to seek out and imprison those perpetrators who prey on vulnerable young people. It has become an obsession. The first thing he wants to do is to reopen three cold cases which have never been solved but his boss is less than enthusiastic. Tom turns in a very unorthodox direction and enlists the support of the mother of Dani Lancing. She is equally haunted by finding the truth about the deaths of young girls and goes to extraordinary lengths to help Tom in his unofficial quest. His unit is also very loyal to him and put their own careers at risk to provide information. In the past Tom was done a favour by Franco, now a big time drug dealer in London. Franco has a daughter whom he adores and who has been brought up away from the truth about her own father. When she is kidnapped and threatened, Franco calls in his debts and Tom is forced to co-operate with Franco to discover the truth. In doing so he finds a connection between the two cases. This book examines the devastating effect of grief as it takes over people's lives and the powerful urge to find revenge forces individuals to ignore conventional morality and justify wrongdoing. Tom engenders sympathy on one level but pushes at the bounds of right and wrong, leaving me with an ambiguous reaction. Franco is a monster with a soft side. Patty is driven to extreme reactions because of her deep love for her daughter. Throughout the book there are ghosts born out of memories. It is never made clear how much is in the minds of those who see them. 'Summer of Ghosts' is a clever and original book. It is also quite unsettling. It is not a comfortable read but one which certainly makes you think. "...a real page turner of a novel. " Nobody moves to the remote Scottish island of Bancree, and even fewer leave - but leaving is exactly what seventeen-year-old Flora intends to do. So when a mysterious man and his daughter move into the isolated Dog Cottage, Flo is curious. What could have brought these strangers to the island? The man is seductively handsome but radiates menace; and there's something about his daughter Ailsa that Flo can't help but feel drawn towards. But people aren't only arriving on Bancree - they are disappearing too. Reports of missing islanders begin to unnerve the community. When a body washes ashore, suspicion turns to the strange newcomers on Dog Rock. Convinced of their innocence, Flo is fiercely determined to protect her friend Ailsa. Could the answer to the disappearances, and to the pull of her own heart, lie out-there, beyond the waves? And what of the strange tales of the selkies (half human-half seal) that old Izzy, the local beachcomber, warns her about? I'm not sure what category this book falls into; crime fiction, coming-of-age drama or fantasy fiction. 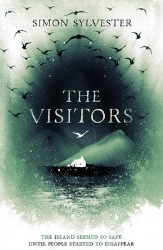 There are many elements which make up 'The Visitors'. In cases like this the story can suffer due to a lack of direction but here, it works. Simon Sylvester has created a multi genre novel that is relatable, likeable and enjoyable. Written in the first person, our narrator is seventeen-year-old Flora who is in her final year at school and desperate to leave the isolated island she lives on with her mother, stepfather and half-brother. She's a misfit and alone. She's also like any other teenager and you'll remember yourself as a seventeen-year-old at times when reading this. Sylvester has created a well-rounded protagonist. In doing so he has crafted a real page turner of a novel. At times the crime element in the story (people going missing) is side-lined as Flora battles with school bullies, an ex-boyfriend, meeting new friend Ailsa and the folk tales of Scotland's history. However, it is so richly written that you almost don't mind. You want Flora to escape the island and get her own life; you want her to succeed. The crime is almost an added bonus. This is Simon Sylvester's debut novel and his high standard will be difficult to match for book two. I enjoyed the multi-genre angle and I hope he continues in the same way for further novels. His sense of setting and pace is spot on and the next time you see a seal swimming in the sea, you'll look at it through different, cautious, and sympathetic eyes. "Alex Gray has a delightfully easy style..."
It is 2014 and Glasgow is preparing for the Commonwealth Games. Detective Superintendent William Lorimer has just returned from a relaxing holiday in Mull with his wife Maggie and is off to a school reunion organised by his old girlfriend, Vivien Gilmartin. She is now a sophisticated red haired beauty married to a wealthy entrepreneur, Charles Gilmartin. After the reunion Lorimer takes Vivian back to her apartment where they find the body of her husband, apparently dead of a heart attack. Lorimer's wife, Maggie receives Vivien into their home and does everything to make her welcome but finds it difficult to warm to the woman, even when it appears that her husband, Charles, has been murdered. Elsewhere, the body of a young African girl is found murdered in a lonely spot and the police team swings into action. The high profile event of the Commonwealth Games attracts attention both good and bad. Around the city a small group of militant nationalists are plotting a spectacular statement event. 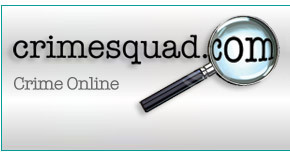 There are some who aim to cash in on the seedy side of life by developing a prostitution ring. The various strands interweave and Lorimer pushes himself to the limit to unlock the secrets. Alex Gray has a delightfully easy style and this book begins with a beautiful description of a quiet idyllic country spot with the native birds singing. Then all is cruelly devastated by an explosion. This mirrors the action to come. Those who sing to the police will be equally destroyed. There is a hint of a reference to the bird that never flew in the Glasgow coat of arms. Gray's latest is up to the minute, what with both the imminent Commonwealth Games and the Referendum on Scottish independence featuring highly here. This latest Lorimer novel continues to give the flavour of Glasgow with its toughness and humanity. It is pleasure to enjoy the solid happy marriage of Maggie and William Lorimer, a great contrast to the unhappiness of some of the city's inhabitants. This book covers some very serious questions: the horrendous trafficking of young girls, the power of the underworld as it targets the enthusiasm and altruism of those connected to the Commonwealth Games, the relationship between husband and wife. Alex Gray manages to interweave the various themes seamlessly. To read another Lorimer novel is a pleasure as it is like returning to old friends whilst at the same time venturing into the excitement of Glasgow's underworld. "...an excellent read for those who enjoy a tightly written police procedural." There is a burglary at Harrowfield mortuary and the body of 30 year old Kirsty Gallagher is missing. Nearby, uniform police are searching the canal along with a small diving squad, following the discovery of some clothes by the bank side. The body of a naked man is hoisted from the murky depths. His ankles are tied by a piece of rope connected to concrete. Kirsty's decomposing corpse is eventually found and an arrest is made which leads to a network of men whom D.I Jack Dylan can only describe as reprobates. 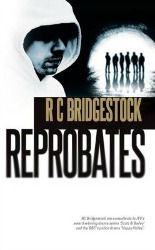 'Reprobates' is another fine outing from RC Bridgestock and their lead DI Jack Dylan. Both travel into the murky underworld inhabited by the most deviant of reprobates, where no sane person would ever want to travel. It is this underworld where the authors combine to showcase their lead character's revulsion for the despicable acts of the perpetrators. Dylan's response to what he encounters is a wonderful mix of world-weary acceptance and genuine horror. The plotting is tight and I enjoyed the tension created by the sub-plots. Overall I'd have to say that 'Reprobates' is an excellent read for those who enjoy a tightly written police procedural. "...quite simply, he’s one of the best out there." Why would a mathematics professor from Cambridge University, renting a holiday home outside Cape Town, require a false identity and three bodyguards? And where is he, now that they are dead? The only clue to the bodyguards' murder is the snake engraved on the shell casings of the bullets that killed them. Investigating the massacre, Benny Griessel and his team find themselves being drawn into an international conspiracy with shocking implications. It seems it is not just the terrorists and criminals of Britain and South Africa who may fear the Professor's work, but the politicians too. 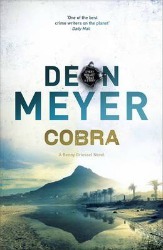 If you're a lover of thriller novels and you've not read any Deon Meyer novels, man do you need to get on the case because, quite simply, he's one of the best out there. He's a master of creating believable characters that you care about, putting them in dangerous situations and then cranking up the tension until you are on the edge of your seat, nibbling on your nails. The wonderfully evoked setting of South Africa is always part of the appeal of a Meyer novel, as is the reformed alcoholic, Benny Griessel. And being set in South Africa his books would be the lesser if they didn't include observations on politics and race, but he never lectures, gives only a flavour and doesn't allow it to detract from the pace and excitement of his novels. 'Cobra' is a delicious slice of classy, edgy thriller writing and is bound to divert you from the travails of everyday life. September 1968 and Detective Sergeant Cathal Breen, attached to Marylebone CID, is finding life difficult. His father, whom he looked after, has died, and – to his consternation – he has slept with his sidekick, Detective Constable Tozer, who is about to leave the force to return to her farm in Devon. At the same time, a badly burnt body is discovered in a house. It takes until December to identify it. He is Francis Pugh, son of the Under Secretary of State at the Home Department, Rhodri Pugh. This puts a whole new complexion on the case. Meanwhile, Sergeant Prosser, also of the Marylebone station, has taken early retirement, and is then found murdered. Cathal becomes drawn to his wife Shirley, and soon he is swept into a world of corruption, power politics and vendetta. To solve the case, and extricate himself from the situation, he has to fight fire with fire. This is the second book in a trilogy set in the late 1960s (the first being 'A Song from Dead Lips'). It opens in swinging London 1968 and it is not a place of peace, liberation and protest. There is money to be made from building a new future, with the inevitable corruption and criminality that goes with it. Cathal is drawn into this world, and finds himself up against the system. When the system fights back, Cathal has to draw on all his strengths to keep going. Real people form part of the plot, such as Eton-educated Robert 'Groovy Bob' Fraser the art dealer (who died in 1987 of AIDS). He draws Breen and Tozer into a world of hippiedom and heroin. Real events also feature, such as the infamous 'Alchemical Wedding' happening in the Albert Hall on December 18, when John Lennon and Yoko Ono appeared on stage inside a large white bag. As with 'A Song from Dead Lips', the climax, this time on the roof of a high-rise block of flats, is thrilling and satisfying. And the denouement has that rare quality – it is surprising but at the same time, given all that has gone before, inevitable. "I recommend you leave yourself a good stretch of time to immerse yourself..."
DCI Banks has been away for a long weekend with his girlfriend. When he returns everything seems quiet - only a missing tractor, a mysterious bloodstain and two young men who haven't returned home. But a dramatic crash in a snowstorm accelerates the action as amongst the remains of dead cattle destined for destruction is the dismembered body of one of the missing lads: a horrific scene that leads to the linking of the three crimes. Slowly careful police work brings the team to the realisation that there are major crime forces involved with a lot of money at stake. As the team get nearer to the truth they find themselves in danger and DS Winsome Jackman has a very close encounter with death. 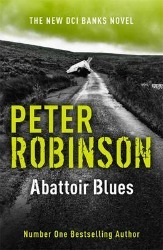 A new book by Peter Robinson is one put on the 'pile to be read' at leisure and in comfort with the knowledge that you are in for a treat. This latest does not disappoint. DCI Banks and his team - for they all play their part - work together to solve the jigsaw of clues that is put before them. Very much up to date, as rural crime has become a significant and high value problem in recent years, this book covers the background of big money involvement in the hidden secrets of the countryside. As always the plot strands dovetail seamlessly into each other culminating in an exciting finale. Robinson's characters are a joy as they develop from book to book. There are the old favourites like Annie and Winsome but some new ones too. I recommend you leave yourself a good stretch of time to immerse yourself in this book! "DCI McCartney is one to watch out for. I feel his destiny may be great." The unexpected arrival of a young runaway girl plunges disillusioned and gone to ground DCI McCartney back into his past, to the summer of 1990, and an undercover operation in Ibiza. In 1990, a joint venture with Spanish authorities, following up on a series of Ecstasy fuelled deaths in both countries, McCartney and his partner DS Millie Baker are sent to infiltrate the gang suspected as being responsible. What they discover is far worse than they ever suspected. A dark empire whose reach extends from Ireland to Morocco with activities from industrial drug protection to terrorism. As the net closes in, DS Baker is killed and McCartney returns home, struggling to deal with his loss. Twenty-four years later the runaway on his doorstep has escaped from the same ruthless gang of international drug dealers, now hidden away in a fortress high in the Moroccan Rif. What she tells McCartney blasts his apathy away, and sends him on a mission that goes far beyond law and order. This is his chance for redemption. 'The House on the Hill' is the second outing for Kevin Sampson's DCI McCartney and whilst it couldn't be more different than the first in format, it was almost certainly quite as brilliant. This time his storytelling was of a more traditional sense, split into past and present rather than concurrently via individual voices as before. This change in style was an enjoyable one, making the book a far easier read than the first without taking anything away from the complexity of either the plot or the characters and ensuring there was still plenty of betrayal, blackmail, and corruption, for the discerning crime reader. I also found it an interesting step for a second novel in a series to spin a tale from the past, giving the reader a greater insight into how and why McCartney is who he is, instead of going for the routine of following on with the next big case to arise in the protagonists career. In doing this not only has Sampson made the book accessible to those who haven't read the previous novels, he has ensured that my interest in McCartney is as strong now as it was when I finished 'The Killing Pool', if not even piqued it more. The depiction of 1990s Ibiza, with its thriving rave scene and ensuing drug fuelled decadence is well written enriching McCartney's background, providing a great reminder to those of us old enough to remember the 'scene' a great buzz and making those who were never there wish they were. 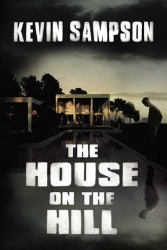 Overall I found 'The House on the Hill', perfectly paced, well observed and one of my most addictive reads of late. I also spotted at least one character I felt we may well yet see more of. I've said it before and will happily say it again; DCI McCartney is one to watch out for. I feel his destiny may be great. "...I enjoyed this book immensely but don’t expect a comfortable ride." Set in 1814 in the streets around London's Covent Garden, this is an historical thriller describing the underbelly of the capital and its interaction with a debauched group of pleasure seekers from the upper classes. Redolent of tales of the Hellfire Club and Francis Dashwood's outrageous behaviour, this book begins with the brutal and bizarre murder of a young aristocrat. Parallel and linked to this tale is the developments in a madhouse where there is an extremely disturbed young woman called Maria who has extraordinary powers to influence people. The overseer of this establishment is a Doctor Bryson whose commentaries on his research reveal a great deal about what goes on in the madhouse. One of the links between the two worlds is Abigail Horton, a voluntary patient troubled by visions of a South Pacific Princess. Abigail is the wife of Constable Charles Horton of the Wapping police who is investigating the murders. Yet another strand of the story is set in Thorpe Lee House in Surrey where a bizarre household is apparently being threatened by witchcraft. This is in part a commentary on the lives of some in London at the beginning of the nineteenth century. The desperate lives of those women who either choose, or more likely are forced into, prostitution is graphically portrayed and the vile behaviour of some and the indifference of others is hauntingly described. Things have to be better nowadays! The great unease which underlies this book is the power of the savage magic which some can use to extract revenge for former ills and to move the action in the way they choose. It is a gripping tale that makes you continue despite the horrific happenings. It would take an unusual character to deal with all this on a daily basis and Constable Charles Horton of the Wapping police is definitely one of a kind. His dogged determination to continue to find justice despite all setbacks is to be admired. My only gripe with this book is a personal one; I don't like the way it is written in the present tense. Despite that the story was strong enough for me to be able to overlook this small niggle! The description of the madhouse is also frightening and ghastly. There is a rich and sophisticated plot that grips the imagination. I enjoyed this book immensely but don't expect a comfortable ride. "The interweaving of the plot and the final unmasking are cleverly put together." Cormoran Strike, private detective, sometimes lets his heart rule his head and that is how he comes to have a client like Leonora Quine instead of a lucrative businessman. She is an eccentric lady, married to an equally eccentric writer who has disappeared. Owen Quine has written a heavily libellous account of his friends and acquaintances, lightly disguised as a novel. As he has a habit of disappearing, no-one is taking Leonora too seriously, but Strike rather perversely decides to do just that. When Owen's body is discovered in horrific circumstances, the action hots up and Strike assisted by his assistant, Robin, finds himself in a series of dangerous and bizarre situations before finally unmasking the killer. Just when you think all is settled there is a last dramatic scene. There are many things to praise about this book: Cormoran Strike is an unusual and sympathetic character who engages the reader; his assistant, Robin, is a wonderful invention; there are a host of other players who alternately amaze, enchant and sometimes, horrify. Underpinning the action in the book is the theme of the 'Revenge Tragedy of Elizabethan times'. The Encyclopaedia Britannica defines this as a work where the dominant motive is revenge for real or imagined injury. Quine has provided just that for nearly all of those he once called 'friends' who he has included in his libellous book. The interweaving of the plot and the final unmasking are cleverly put together. This book definitely has the power to involve the reader totally and makes it difficult to put it down. 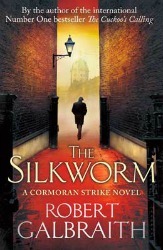 What can I say – 'The Silkworm' is a wonderful read. "...I thought ‘The Good Girl’ very well thought out..."
Born to a prominent Chicago judge and his stifled socialite wife, Mia Dennett moves against the grain as a young inner-city art teacher. One night, Mia enters a bar to meet her on-again, off-again boyfriend. But when he doesn't show, she unwisely leaves with an enigmatic stranger. With his smooth moves and modest wit, at first Colin Thatcher seems like a safe one-night stand. But following Colin home will turn out to be the worst mistake of Mia's life. Colin's job was to abduct Mia as part of a wild extortion plot and deliver her to his employers. But the plan takes an unexpected turn when Colin suddenly decides to hide Mia in a secluded cabin in rural Minnesota, evading the police and his deadly superiors. Mia's mother, Eve, and detective Gabe Hoffman will stop at nothing to find them, but no one could have predicted the emotional entanglements that eventually cause this family's world to shatter. 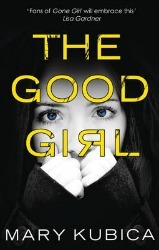 'The Good Girl' is written mainly from the perspective of Eve, the mother of Mia who has been abducted, Gabe the detective looking for Mia and Colin who has abducted Mia. Flitting from each of the perspectives from before and after the abduction, the story unfolds. The book got off to a good start and I was immediately taken with the characters and the plot. However, as I continued, I started to find it a bit hard going and felt that some of the chapters were superfluous. Despite this, I thought 'The Good Girl' very well thought out and I liked the formula of seeing the different perspectives. What Kubica did well was to change my views of the characters over the course of the book as each one was more deeply explored. Even though for me there felt too much 'filler' in the book, I did like the ending and found this to be a good twist. 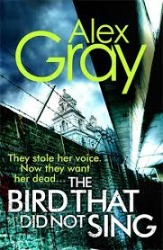 All the loose endings were nicely tied off and it finished off as an enjoyable book. Recommended. "...Dicker handles the complexity of the plot brilliantly..."
Two novelists: master and pupil and the unexplained disappearance of a young beautiful girl in a small town in America. This very young girl has been the great love of Harry Quebert, the older novelist, and the inspiration for his great masterpiece. Thirty-three years later the discovery of her body along with the manuscript of that book, and Harry's subsequent arrest, provides Marcus Goldman, Harry's gifted protégé, with the excuse to visit the small town where Harry lives and even live in his house. Marcus is suffering from an extreme case of writer's block and is being pressurised by his publisher to deliver the next big blockbuster. Once in the sleepy New Hampshire town of Somerset, Marcus sets about finding out what really happened and clearing the name of his mentor. What he finds there is that under the surface of this small town there are secrets and hidden passions that totally surprise him. Gradually he makes friends and allies and discovers that no-one is as they seem on the surface, not even Harry and his beautiful girlfriend, Nola. This is a huge read in the pattern of the great American novel. The only thing is that this is not written by an American but a talented Swiss writer. It has at its heart a love story but the intertwining passions and relationships soon take over to make it a touching and sad record of human frailty. It is also a crime story but again not a simple whodunit. Many people have a guilty secret in Somerset. Some of those secrets relate to the murder. Joel Dicker handles the complexity of the plot brilliantly and he understands the nature of human behaviour and weaves that into the story. His main character of Marcus Goldberg is strange and not entirely likeable but intriguing and tantalisingly described. I'm not entirely convinced by the massive advances he is promised for an unwritten book but that is not important to the main thrust of the novel. I am impressed that the atmosphere of small town America is so sympathetically and authentically portrayed. This is a very original and imaginative piece of work that I thoroughly enjoyed. It may be a mighty tome but well worth the effort. "McHugh doesn't paint a particularly pleasant picture of life in a small town." The town of Henbane sits deep in the Ozark Mountains. Folks there still whisper about Lucy Dane's mother, a bewitching stranger who appeared long enough to marry Carl Dane and then vanished when Lucy was just a child. Now on the brink of adulthood, Lucy experiences another loss when her friend Cheri disappears and is then found murdered, her body placed on display for all to see. Lucy's family has deep roots in the Ozarks, part of a community that is fiercely protective of its own. Yet despite her close ties to the land, and despite her family's influence, Lucy - darkly beautiful as her mother was - is always thought of by those around her as her mother's daughter. When Cheri disappears, Lucy is haunted by the two lost girls: the mother she never knew and the friend she couldn't save and sets out with the help of a local boy, Daniel, to uncover the mystery behind Cheri's death. What Lucy discovers is a secret that pervades the secluded Missouri hills, and beyond that horrific revelation is a more personal one concerning what happened to her mother more than a decade earlier. This debut novel is written from the current day perspective of Lucy, and the past perspective of her mother Lila. Lila had been offered a job working in a small town and the story depicts her struggles with trying to settle in, the town's dislike of newcomers, and the mystery of Lila's disappearance. McHugh doesn't paint a particularly pleasant picture of life in a small town. The residents have a distrust and dislike of any strangers which seems to be unreal in this day and age, although I am sure towns like this probably do exist. Apart from the younger characters in the book, the others seem to be very flawed either due to their guilt or by being willing to turn the other cheek. This does not make them very endearing. The story itself is well told and written, if perhaps a little slow at times. I did enjoy reading the book but felt it lacked any real punch or excitement. Rather the plot trundled along, just enough to keep the reader interested but not so much that it made you want to rush back to it to find out what happened next. 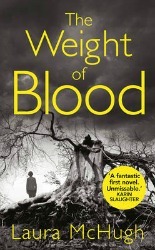 'The Weight of Blood' was an easy read but not a book I will be rushing to recommend. "...an easy book to read..."
How far would you go to protect your secrets? Greece, 1980: Emma takes part in a shattering, violent event, an event to which she is anything but an innocent bystander. She is only eighteen, but this marks her fall from innocence and it will haunt her for the rest of her life. 'The Long Fall' is set over a few decades with Emma's diary detailing events of her time spent in Greece back in the 80s. The present is based around Kate, a woman now in her 40s suffering from alcohol dependence and grief following the death of her daughter. Kate is a brittle, dependent and needy person whose life becomes even more troubled when a friend from her past makes contact with her. Emma is also a weak, needy character who depends on alcohol and drugs to suppress memories of a traumatic event which has deeply affected her. I have enjoyed Crouch's previous books which are all extremely well written, but I found 'The Long Fall', whilst enjoyable to read, lacked the suspense found in 'Cuckoo' or the brilliant 'Tarnished'. Crouch seemed to fill the pages with superfluous content and I feel this book could have been much shorter, and in turn much punchier. Also, the plot itself was predictable and whilst I wasn't completely correct, I wasn't far wrong. I much prefer a mystery that leaves the reader guessing until the end, or at least be proven wrong. The lack of empathy and connection to the characters left me with little interest in them. 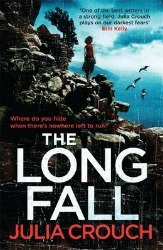 'The Long Fall', whilst an easy book to read, lacked the punch that this author has managed before.